This season, we’re serving up a 3-month summer special for only $300. 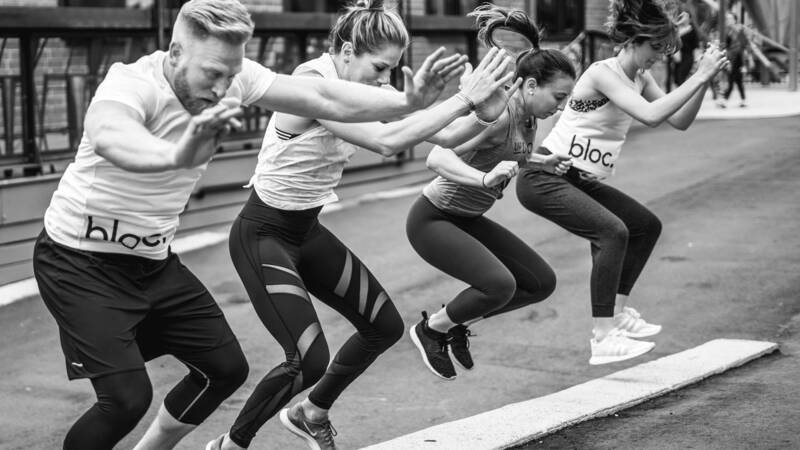 This gives you unlimited access to all Bloc has to offer — fitness classes, coworking space, complimentary coffee, and our recovery lounge. Were also hosting a free community sweat at The Suffolk Punch every Friday at noon featuring a different Charlotte area trainer. SIGN-UP IN ADVANCE FOR ALL CLASSES The Bloc app makes this quick and easy. CANCEL WITHIN 3 HOURS or you will be subject to a penalty. A loss of session will occur if using a class pack or drop-in. A $15 charge will occur if using an unlimited month membership. This allows your spot to be given in ample time to another member. ARRIVE 10 MINUTES EARLY Classes will begin ON TIME. This allows you to get settled into the studio before class begins. BOXING GLOVES will be provided in your first fight class. After this, they can be rented for $5 if you would prefer to not buy your own. Sanitation is the name of the game. PLACE ALL BELONGINGS IN CUBBY Stuff on the floor can be hazardous. TELL THE INSTRUCTORS OF PRIOR INJURIES It will help us serve you better, and keep you safe. GIVE THE INSTRUCTORS YOUR ATTENTION This is for SAFETY & it lessens confusion for new members. It helps you know where to be and what to do. WIPE IT Sweat towels are available in every class. Respect the person who will be at your station next. CHANGE CLOTHES if scheduled for a session in the recovery boots. Sanitation is very important to us, and we want to keep the boots and couch clean for everyone.